The company, which has paper mills in Skowhegan and Westbrook, vows to be a viable employer for the long term as other Maine mills close or lay off workers. 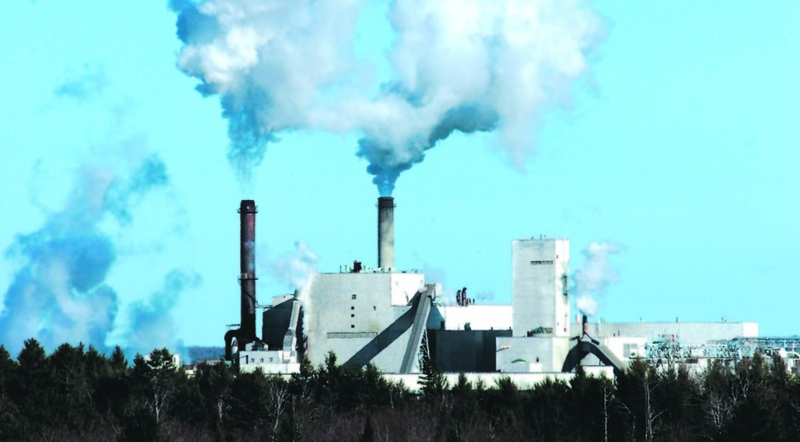 SKOWHEGAN — Noting a stabilization of property taxes at its paper mill in Skowhegan, officials at Sappi North America have released the company’s 2015 Sustainability Report with a renewed commitment to keeping jobs in Maine and reducing the company’s carbon footprint. Using the slogan People, Planet and Prosperity the Boston-based company is setting its sustainability goals by investing in the people it employs, making commitments to protect the planet from the wasteful use of natural resources and maintaining a vision to achieve profitable growth and prosperity for current and future generations, according to the report. The report comes as Madison Paper Industries prepares to shut down next week the fifth paper mill across the state to close in the last two years, a situation that U.S. Sens. Susan Collins and Angus King in March called an economic crisis and that King likened to a force of nature. The three goals Sappi announced last week lay the groundwork for increasing safety and education for Sappi employees, building financial returns on operations through efficiency and reducing energy and raw material waste. • 100 percent of fiber was purchased in accordance with the Sustainable Forest Initiative’s fiber sourcing standard as well as the Forest Stewardship Council’s controlled wood standard, and 58 percent of fiber to make paper came from certified sources, those overseen by a land manager and responsible forester. • Sappi remains the manufacturer with the lowest carbon footprint out of all domestic producers of coated freesheet papers in the U.S., and the company’s combined direct and indirect emissions total just 0.4 tons of carbon dioxide per ton of product. • The solid waste sent to landfills reached its lowest level in the past five years, due in large part to the continued expansion of the company’s beneficial use program where by-products are used by local landowners as a soil amendment. • Achieving high levels of renewable energy as company stakeholders and customers look to global climate change. A list of the biggest polluters in Maine released in 2014 by the federal Environmental Protection Agency included the Sappi mill in Skowhegan, which was listed third in the state with more than 2 million pounds of toxic chemicals emitted. The company’s Westbrook operation also made the list as the state’s eighth-largest polluter with about 257,000 pounds of emissions. Sappi President and CEO Mark Gardner and Laura Thompson, Sappi director of sustainable development and global policy initiatives, acknowledged the data, noting that reducing toxic emissions is among the top goals of the company. Gardner agreed, noting conversion to energy efficient practices over the past few years to reduce pollutants has led to the reuse of waste byproducts in the paper-making process. Nick Bennett, staff scientist at the Natural Resources Council of Maine, said the 2014 list released by the EPA is the most recent data available. The 2015 Toxic Release Inventory report is due out sometime this fall, he said. • Reducing paper mill and pulp mill raw material waste. • Reducing the total amount of energy expended in making each ton of product. • Ensuring 60 percent total certified fiber content. • Achieving or exceeding 12 percent return on net operating assets. • Offering 60 hours of training and education per employee annually to advance through the organization. • Achieving zero workplace injuries. Thompson, Sappi’s director of sustainability, said the company also is committed to keeping jobs in Skowhegan. She said the company concentrates on three areas of sustainability — environmental issues, social issues, including jobs, and economic issues. Thompson said Sappi is a long-term employer with 813 jobs at the paper mill on U.S. Route 201 in Skowhegan. In South Portland Sappi employs 119 people, the technology center has 49 workers and 328 people work at the Westbrook location. Thompson said as the workforce ages, sustainability issues are used as a recruiting tool to attract younger people to the paper-making field. She said if people understand how the company is trying to operate responsibly, Sappi can be an employer of choice at all three of its Maine locations. Thompson noted that the Sappi mill in Skowhegan is a major participant in the community as a taxpayer and an employer. The company and the town reached an agreement in March to cap the value for taxation at the company’s paper mill at $380 million. It was a compromise solution to save jobs and put an end to disagreements that had dragged on for months, officials said. In exchange, Sappi agreed to withdraw its tax abatement requests against the town for 2014 and 2015. The compromise represents an agreed upon $64 million in reduced value for taxation beginning the coming fiscal year. Under the agreement, the town will lose about $1.2 million in taxes for fiscal year 2016-17. In the years following, the town assessors will update the property valuation, but not to exceed $380 million in 2017-18 and 2018-19. No abatement will be sought by Sappi, and there will be no supplemental assessments for taxation by the town, according to the settlement agreement. Thompson said the company also has what they call sustainability ambassadors, whose members perform community outreach on sustainability. At a recent Earth Day event in Portland, Sappi employees participated in a road race raising money for water sustainability. The ambassadors also participated in a green community day where they had a booth set up to talk about Sappi mills and the company’s operations. Summing up the 2015 Sustainability Report, Thompson said Sappi has goals to always be reducing waste going into landfills and energy intensity to reduce air emissions, while providing good jobs now and into the future.